At the time (around 2008, 2009) I really believed we needed rapid publication; in many fields scholarship was already obsolete by the time embargoes had passed. Having studied in Mexico also gave me direct experience with the high cost of international scholarly publishing and the negative social and financial consequences that the disparities in access to knowledge had at a global level. It was coming to Norwich in 2002 that opened my eyes to how privileged university students and academics were in the UK in terms of access to resources through their libraries (I know this is not equal across the board within the UK). Having studied in Mexico also gave me direct experience with the high cost of international scholarly publishing and the negative social and financial consequences that the disparities in access to knowledge had at a global level. 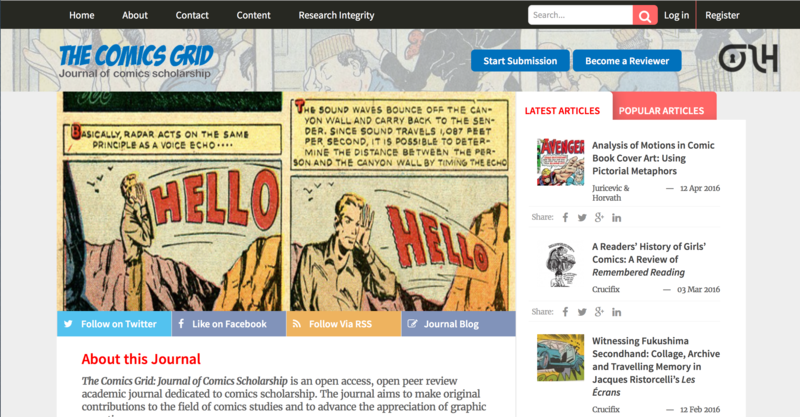 I wanted to make my own small contribution to a change in the scholarly communications landscape by getting a group of colleagues together and starting a journal from scratch. Luckily Ubiquity Press signed us up in 2013 after two years of hard, rapid collective work using a WordPress platform. They taught us and helped us do things properly. The transition to Open Library of Humanities (OLH) in 2015 was a dream come true because OLH was exactly the kind of platform I had been imagining we had to build in the arts of humanities to adapt to the 21st century successfully. My editorial for our first issue under OLH can be read here. As a lecturer in library science at City University London, how often do discussions about open access come up? Very often. Open access and open data are key components of the lectures. I have covered OA in both the Digital Information Architecture and Libraries and Publishing modules I’ve taught, and students have written blog posts, final essays and dissertations about the topic (I know different aspects of OA are also covered by my colleagues too). I have also invited open access researchers, publishers and institutional repository managers to give talks to the students. I think librarians and information professionals are key stakeholders in the transition to open access. A critical understanding of the scholarly communications landscape, of the needs of researchers, of the technologies involved in scholarly publishing and assessment, of methods of metrication and of licensing and intellectual property are some of the key LIS skills that are the bread and butter of open access publishing and research data management. Do you find that students are generally more or less receptive about open science than researchers further in their careers? That’s a good question. I don’t know if it’s possible to generalise. Personally I am slightly disappointed when PhD students and/or junior scholars feel they need to ‘play the game’ and opt for (or feel they have no choice but) doing things the way they have always been done in order to further their careers. I understand why this happens, yet it may be that when I was young I identified with punk and DIY cultures and I still feel that youth is a time to think and act creatively in order to push social boundaries. Coming back to OA, I guess one can always find an excuse, at any career stage, to not embrace greater openness. The thing for me personally is that open access is not just about technical infrastructure (no paywall) or licensing (some rights reserved instead of all rights reserved) but based on principles of reciprocity, collaboration, trust, equality, transparency and the social good. And the truth is that most scholarship within the current economic and political context today encourages selfishness and secrecy. People are afraid of getting their ideas stolen, of missing out from getting that grant, that job or that promotion. It’s understandable. Of course it is. Open Access is based on principles of reciprocity, collaboration, trust, equality, transparency and the social good. There is also real, explicit pressure from universities. It seems to me universities themselves are in fear of assessments like the REF. Against openness there is a fear of missing out (on funding, on rankings, on reputation, on student satisfaction, on citations, on intellectual property). There is fear everywhere. I think what we should fear is the lack of transparency and the misplacement of our educational objectives. Scholarship has been largely distorted in some contexts to become mostly about competition, and not about collaboration. What we should fear is the lack of transparency and the misplacement of our educational objectives. Open access implies that people will want to share and that people will respect each other. This does not always work in reality because the culture in most places and contexts is not yet ready for that. So of course younger academics, students and junior faculty are afraid. I am afraid. Some critics of open access have said some open access ‘advocates’ are moralists, but I don’t think openness is about morals but about teaching, research and citizenship ethics. This does not mean that publishing non-open access is unethical– it means that one has choices, and choices have consequences and these choices create and establish modes of behaviour. We cannot complain about a system while perpetuating it forever claiming we have no choice. We cannot complain about a system while perpetuating it forever claiming we have no choice. Much discussion about open access has focussed on its role in STEM publishing. Do you think OA in the humanities should be treated differently? No. I am acutely aware of important disciplinary differences though. I understand why some colleagues in STEM are happier to go for CC-0 than their humanities counterparts for example. But I don’t think that the arts and humanities should be treated differently in terms of licensing, even when we work extensively on third-party content (there are provisions for that). If CC-BY is good enough for famous, successful artists, it should also be for the the most ego-driven and possessive of humanists. All Rights Reserved, like all unreasonable prohibitions, only leads to friction, resentment and rebellion. Why haven’t we seen something like the Open Library of Humanities emerge for STEM yet? I am part of the LibTech committee and I am therefore biased; I think it’s the right way to proceed in the current context. Importantly it is a researcher-led, legal, sustainable model. I think it is fair to say that the OLH was partly inspired by PLOS, so I think normally the question is why open access in the humanities hasn’t progressed as much as in STEM. (One reason is funding differences, but also the way authors relate to what they do). I believe people still appreciate journal titles as ‘brands’, for what they represent, but at the same time I think that in the future we will see more appreciation for the article as an output in itself, i.e. not judged by the journal in which it was published. ‘Reputation’ will be author-level and/or article-level. This is already the case in practice amongst some scholarly circles. If an author you respect or if ideas that are valuable are presented in a platform that’s what matters in practice, not the brand of said platform (research assessment officers might disagree). This means we will be able as readers/researchers/students to create our own collections. This is already happening as you know. It’s the way we do research today. That’s the knowledge being unbound there– researchers are curators and as such we need platforms that are freely and openly available and accessible, that are modular and subject to annotation and review. ‘Reputation’ will be author-level and/or article-level. This is already the case in practice amongst some scholarly circles. We need platforms that challenge pre-established categories and disciplinary boundaries. They already exist; they just need the backing of more of us and the recognition from those who assess and have the power to change culture more rapidly by paying attention to how 21st century researchers are working. As to why we don’t have an OLH for STEM as such it might be because StEM communities haven’t felt they need it yet. 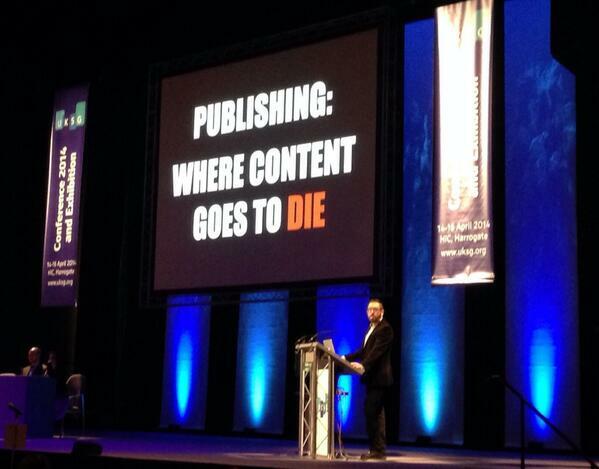 Do you think we’ll see more of these ‘library consortium’-based publishing models in the future? I think so, but predicting the future, though we all do it up to a certain extent, is always a failed experiment (we learn from failure and negative results too though). Maybe funders’ consortia, or even professional associations’ consortia could help support libraries in their role enabling access to scholarly/scientific publishing. In my view it is not fair to place all the onus on libraries. We know where that took us in the past. This does not mean I don’t think we will see more libraries doing their own scholarly publishing through repositories and overlay journals. I think, or hope, we will. What do you think is needed to create a real marketplace for open access? The monopolies need to be challenged. Elsevier and Thomson Reuters hold too much power. The synergy between the published journals and the systems of indexing, ranking and assessment need to be interrogated and conflicts of (financial, political) interest need to be unveiled. We need pricing transparency from the major publishers, and transparency in the way research publishing funding is allocated. Double-dipping needs to be eradicated, and APC and individual access prices need to go down to allow most researchers and readers, funded or not, from within a library or not, to afford it. Do you think open access and open science have the potential to change how we think about research assessment? Completely. First of all ideally it means that one believes publishing is about contributing to knowledge, to communities of practice and the public, and therefore the goal of publishing becomes advancing the pursuit of knowledge, not one’s career. ‘Publish or Perish’ translates the tautology of a practice: publish not to be read and discussed, but to have something published that can get you promoted. The greater popularity of platforms like Academia or ResearchGate in comparison to institutional repositories shows that academics appreciate good user experience but also that they want to share even if they are not allowed to do it legally. So they are making otherwise-embargoed paywalled papers available on those networks against the licensing conditions they signed. To me this highlights that some academics do want to share but do not really know how to do it legally and/or are not being encouraged and supported to embrace open access. Open access is the legal, sustainable way to share what you do in a way that can also get officially recognised. OA is about achieving both things, to have peer reviewed research sustainably published that can also get you promoted. Because information is openly accessible and reusable, it can be assessed more transparently and by more people. In this sense it is the community, specialised colleagues, the public, the media, who is able to assess outputs. Not just those who have the keys to unlock it. ‘Publish or Perish’ translates the tautology of a practice: publish not to be read and discussed, but to have something published that can get you promoted. OA also enables faster metrication, that though never neutral and requiring always qualitative context, it offers us ways of getting new insights into how research is being shared and commented online almost immediately. I see this as a good thing that can complement current (not perfect) methods of assessment. But I think this pervasive culture of assessment, as currently officially implemented, is generally quite destructive. It turns researchers into competitors and gatekeepers. Peer review as a mechanism of quality control is in essence a good thing, but it can be done more transparently, more fairly, more quickly, with greater recognition for those who do it and essentially as an ongoing process (open post publication peer review). Once again it is about working towards a type of scholarship which is about learning from each other, not about surveillance and gatekeeping. What can ‘open advocates’ do to help others overcome the potential ‘fear of open’? I think those who are working in and for open access can help colleagues realise that what we should fear is continuing doing things the way we have always done them. We need to think about the greater good, not just about ourselves as individuals. Aye, that’s the rub. I see it online, in mobile devices, enabling quick sharing and open post publication peer review. I see reviewers and editors being rewarded institutionally for their work as open peer reviewers and authors being rewarded for publishing open access outputs enabling colleagues and the public to reuse their work in imaginative and productive ways. In the future I’d like to see more diversity, in every way, and less divisions, less gatekeeping. But this is an ideal vision of the future. Reality bites. All of us must lead. Funders like the Wellcome Trust are leading the way. Publishers and repositories like Figshare, Dataverse, Ubiquity Press, Open Library of Humanities, The Winnower, F1000, Knowledge Unlatched, Open Book Publishers are also leading the way. Universities with open access mandates and presses like UCL are leading too. But also students and junior academics like you (Ed: thanks!) and Stuart Lawson and Erin McKiernan and Juan Pablo Alperin and many many others worldwide. I don’t think OA will become mainstream by mandating it. Transforming it into an administrative burden is not the way. It cannot be a top-down thing. It has to be a collective cultural change involving all of us, here in the UK and around the world. Higher education and science need people who can ask the right questions and who understand the challenges and opportunities. We need people who are imaginative and who are willing to take risks. What role do you see open science, scholarly networks (like ScienceOpen? ), and altmetrics playing in this future? I think of open science as a way of doing things. It is at the heart of the matter. Same for scholarly networks. They develop organically and are grassroots movements. I see altmetrics as related (both Altmetric and ImpactStory are researcher-led start-ups) but they have to operate, like the rest of us, within a ferociously competitive post-late-capitalist context. Altmetrics developers, like many researchers today, are put between a rock and a hard place; they also want to have their cake and eat it too. I think it is possible to do that ethically. It’s about changing the way we understand the value of sharing and the value of online attention. It’s about understanding the challenges and opportunities of mapping scholarly networks and scholarly activity online and on social media. It’s about being realistic, that capitalism won’t simply disappear and that academic work and publishing do cost money. It’s about addressing the inequalities in the system and looking for pragmatic, legal transformations. The law can be changed within the law, and culture can be changed within specific cultures. Specifically in our context it’s about focusing on what happens with articles or individual outputs, and not necessarily on journals or publishers as brands. It changes or at least challenges the reputational economy and this seems to me like a good thing. Believe in yourself. Believe in the power of ideas, and in the power of collaboration and sharing. Rome was not built in a day. Higher education and science need people who can ask the right questions and who understand the challenges and opportunities. We need people who are imaginative and who are willing to take risks. Spot who is doing what you are interested in doing and learn from them. Approach them, share ideas. Look beyond your immediate circle. Look abroad, in all cardinal points, in different languages. And take it from there. Most importantly, which is also quite tough to achieve: do not let fear stop you from doing what you believe in or define what you do or how you do things. N.B. Needless to say Ernesto’s personal opinions are his own as an individual and do not represent those of his employer, colleagues or professional networks. 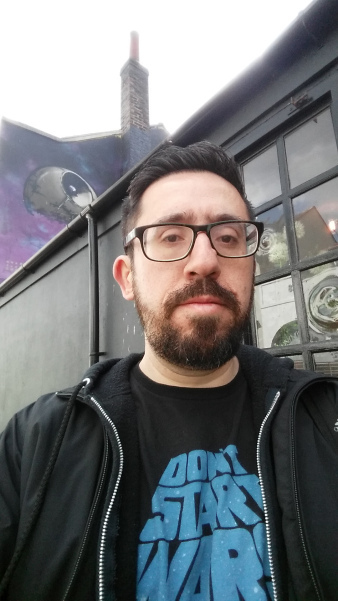 Ernesto’s research interests include comics scholarship, digital humanities, library science, online publishing, journalism, social media, altmetrics, open science and open data research and scholarly communications. 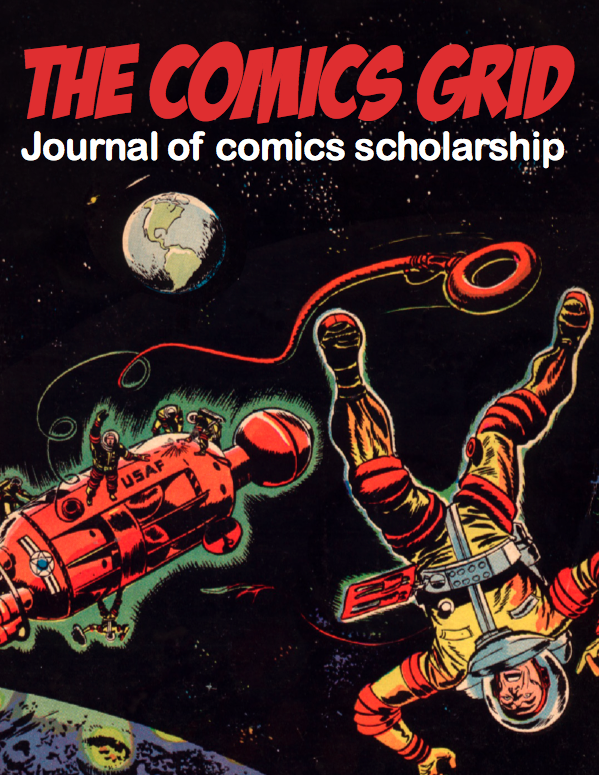 He is the Editor-in-Chief of The Comics Grid: Journal of Comics Scholarship, which he co-founded with colleagues in late 2009. He is normally engaged in various simultaneous projects, the most recent being a Jisc Research Dataspring project seeking to develop the infrastructures to enable quicker open data deposit and giving credit to researchers for their data. 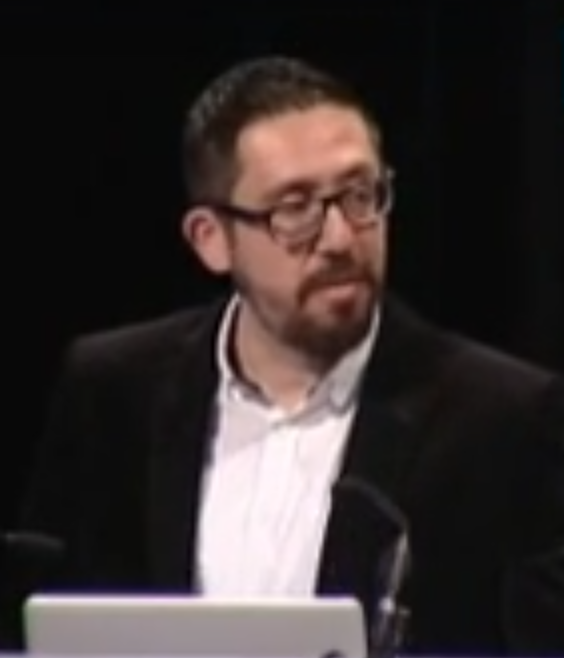 He is actively involved in editorial and committee work for various international professional associations, and has presented his research and offered practical workshops on digital scholarship, social media engagement and research and open access publishing, all over the UK and abroad, including countries like Kenya, Colombia, and Mexico. He’s contributed to scholarly and current affairs online and print publications, including the Guardian, the Conversation, the Independent, Inside Higher Education, HASTAC, 4Humanities, CILIP Update, Research Information, etc. He is a member of the LibTech committee of the Open Library of Humanities.